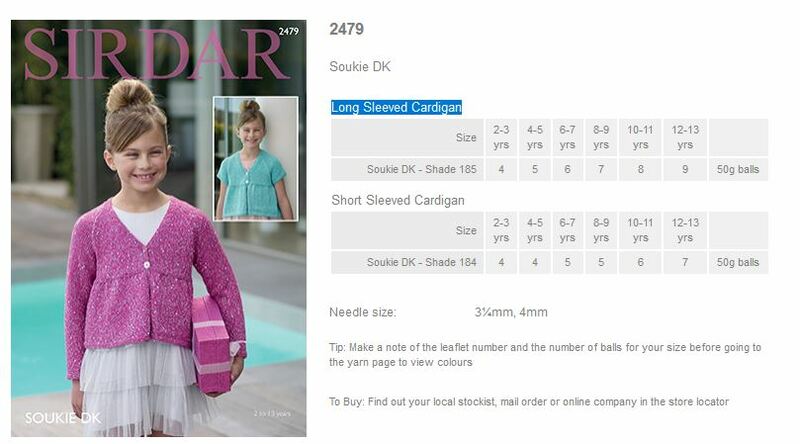 2479 - Long sleeved cardigan and Short sleeved cardigan using Soukie DK Leaflet with designs for a Long sleeved cardigan and Short sleeved cardigan using Sirdar Soukie DK. 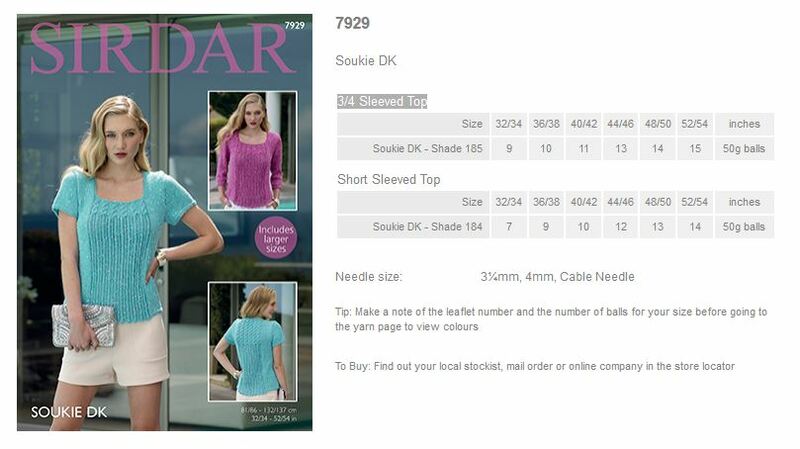 7929 - 3/4 Sleeved top and Short Sleeved Top using Soukie DK Leaflet with designs for a 3/4 Sleeved top and Short Sleeved Top using Sirdar Soukie DK. 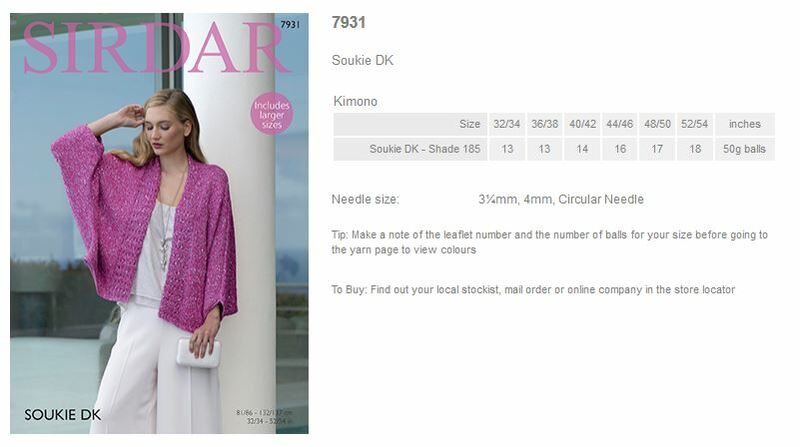 7931 - Kimono using Soukie DK Leaflet with designs for a Kimono using Sirdar Soukie DK.